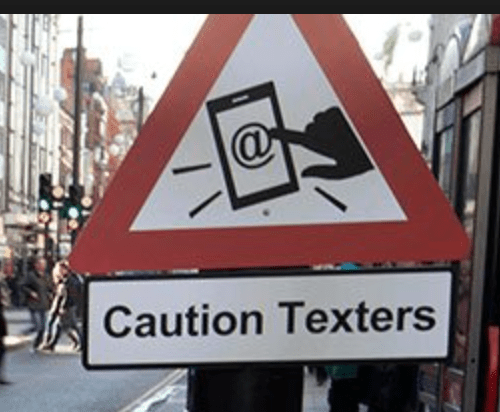 Province nixes texting ban for street walkers. Councillor Frances Nunziata’s questionable motion (see Adam’s article) to request a change to the Highway Traffic Act was quickly given the bum’s rush by Transportation Minister Steven Del Duca. Officials at the Ontario Government must find such motions trying (but probably not as trying as the City’s transportation flip-flops over the past few years). Minister Del Duca correctly pointed out that City Council has the power to pass by-laws; something the good councillor may have overlooked in the zeal to take the issue to a higher level. I believe a proposal to license pedestrians may be coming up soon. Stay tuned. This is so funny and sad at the same time. Just text your councillor. She’ll get it printed out and respond. You may be laughing, but she is an excellent Councillor and yes, she does respond (Reply) to all your messages.